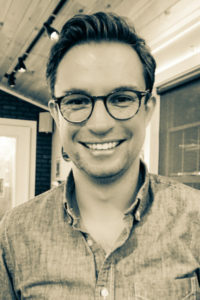 I am Wouter van Erve, an Assistant Professor of Political Science in the Department of History and Political Science at Texas Woman’s University in Denton, Texas. I am interested in political institutions, and my dissertation project focuses on the paradox between participation and representation in local politics, and on the counterintuitive observation that municipalities using political institutions that provide citizens with a plethora of participatory opportunities, may in fact create a more homogenous, elite-driven, and less representative political climate despite their intentions to the contrary. I received my Ph.D. in Political Science from the University of Massachusetts, Amherst. Before pursuing a Ph.D., I earned law degrees in both The Netherlands (at Tilburg Law School) and the United States (at the University of Minnesota Law School) and worked for the Dutch Public Prosecution Service (District Attorney’s Office). I am a passionate teacher, and have considerable experience teaching as an instructor of record for both political science as well as legal studies courses. I encourage students to become independent, creative thinkers who are able to communicate their ideas effectively, and empower them to become engaged citizens who are able to make relevant judgments and discriminations by creating challenging curricula that pull from a rich variety of resources, supplemented by assignments and classroom activities, accounting for my students’ diversity in learning styles and familiarity with the course material. My research agenda contributes to our understanding and explanation of the many ways in which subnational institutions shape participatory activity by citizens, and the extent to which features of governmental institutions—beyond the merely electoral—create an environment in which citizens feel empowered to participate. It is a research agenda that engages with current debates on institutional change, political reform, federal, state and local relations, and public administration.